Hi! My name is Kirsten Snead! I am a Nurse and X-Ray Technician from Tuscaloosa, Alabama, but I have finally found my dream job — being a MickeyTravels Disney Travel Agent booking magical vacations for you! I have been lucky enough to visit Disney World as a child, a teenager, a young adult and now with my husband and son many times as a family. Disney is in me. It’s a huge part of my life, and is a true passion of mine! 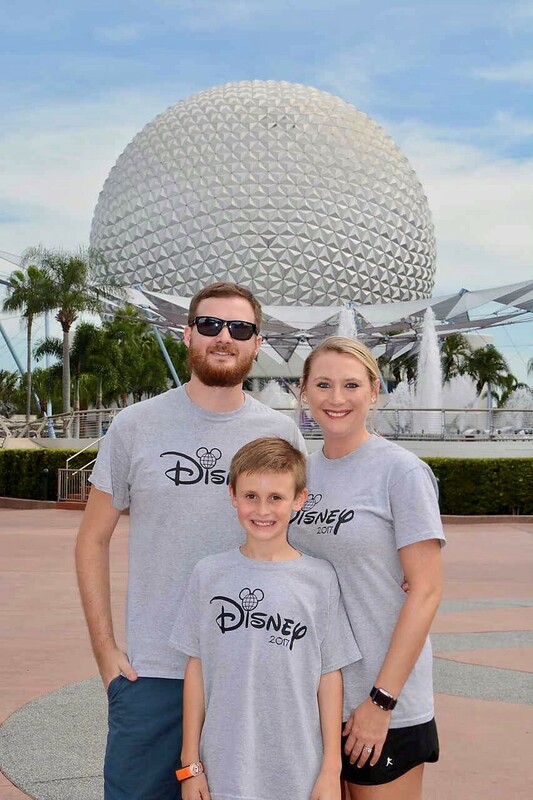 My husband went just as often as I did growing up, so we are passing on the tradition with our son, so he can experience the magic as we did. 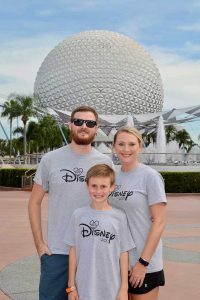 Our little family is crazy about all things Disney, and our vacations are always spent making magical, wonderful memories in Walt Disney World. There is nothing as amazing as seeing Cinderella’s Castle (even for the 10th time) in person, meeting, hugging and taking a picture with your favorite character, eating your favorite Mickey shaped snack or riding your favorite ride whether it be a classic or a new thrill ride! No matter what you do in Disney, it’s all pure magic! I would love to use my Disney knowledge, experiences, and resources to help you plan the most magical vacation ever! Planning a Disney vacation can be overwhelming and stressful. Let me take all the stress of planning away from you so all you have to do is sit back, relax and have the time of your life! I would love to plan every detail of your perfect vacation from purchasing park tickets, to making hotel and dining reservations, to helping with touring plans and fast pass suggestions! Whether this is your first time experiencing the magic or you go every year, let me plan a trip customized just for you and your budget! I would love nothing more than to share my love of Disney with you! If you are ready to visit Walt Disney World, Disneyland, Disney Cruise Line, Adventures by Disney or Disney’s Aulani Resort in Hawaii, I am ready to plan a vacation you and your family will always remember! I’ll even be there to help any time you need me during your trip! The best part of all – my services are always FREE to you! So contact me today, and let’s get started planning your best vacation ever! We just got back from our trip to Disney. Kirsten did a great job helping us plan. She made sure we got a room next to our friends and that we were in the newly renovated part of the Disney hotel. She made sure we had everything we needed. She answered all our questions and even reminded us to get our fast passes and helped us get them :) She checked on us once we arrived and once we got back home. I have already recommended her to several friends. It was a great experience! Kirsten was AWESOME with planning our Disney Vacay over spring break. It was such a pleasant experience to know and trust that every detail was taken care of. She had so many helpful tips to give us and made the whole process fun and easy! She requested a new renovated room at our resort which made a huge difference and highlighted our trip. She was always available by phone for any questions. She is a highly motivated lover of all Disney who will plan the most magical experience you can dream of!